Straight union: like U, MC, TAF etc. 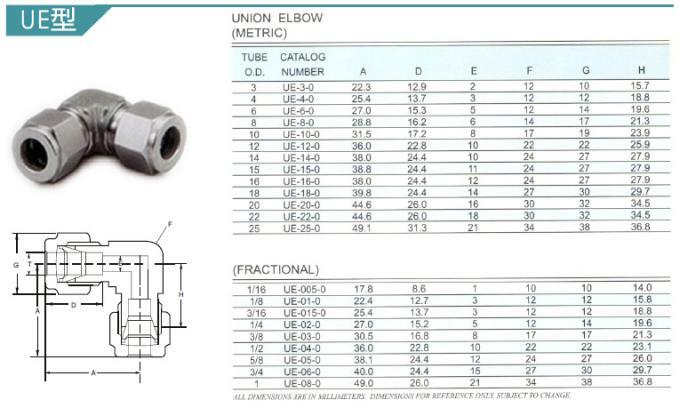 Ferrule: like U and UCR, it can be directly connected to tube or plastic hose. Welded: like one end of ODSW. Very very low leak, can be negligible (zero leak). Note: Catalogue and Drawings&Dimension Size can be send to you if request. My dear friend, if you wanna know more information about our products such as dimension size and drawing, kindly send us inquiry or email, we will reply you within 24 hours! 2. 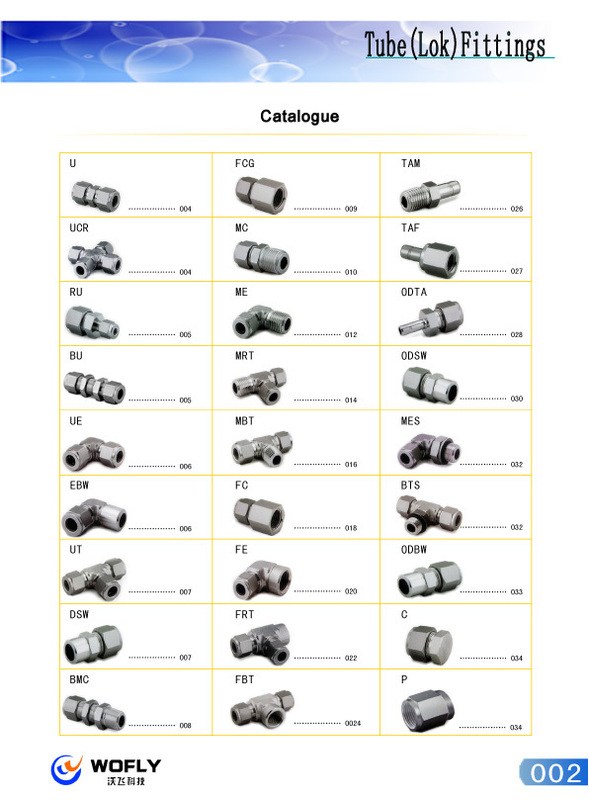 Connection: NPT male threaded, NPT female threaded, ferrule, welded, tube, hose barb. 4. Fluid: what fluid is used for? Gas,oil? Please advise the model no. 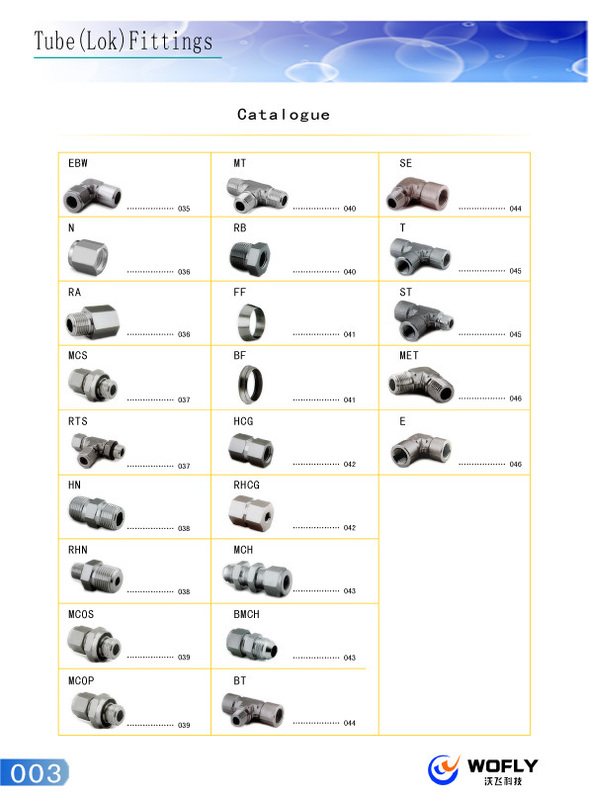 or describe what kind of fittings do you need, then we can send you the exact model and quotation. A. UT, 1/2" tube ferrule, SS316, 100pcs. B. straight union, 8mm hose barb* 1/4"NPT male, nitrogen, 2000psi, SS316, 100pcs. 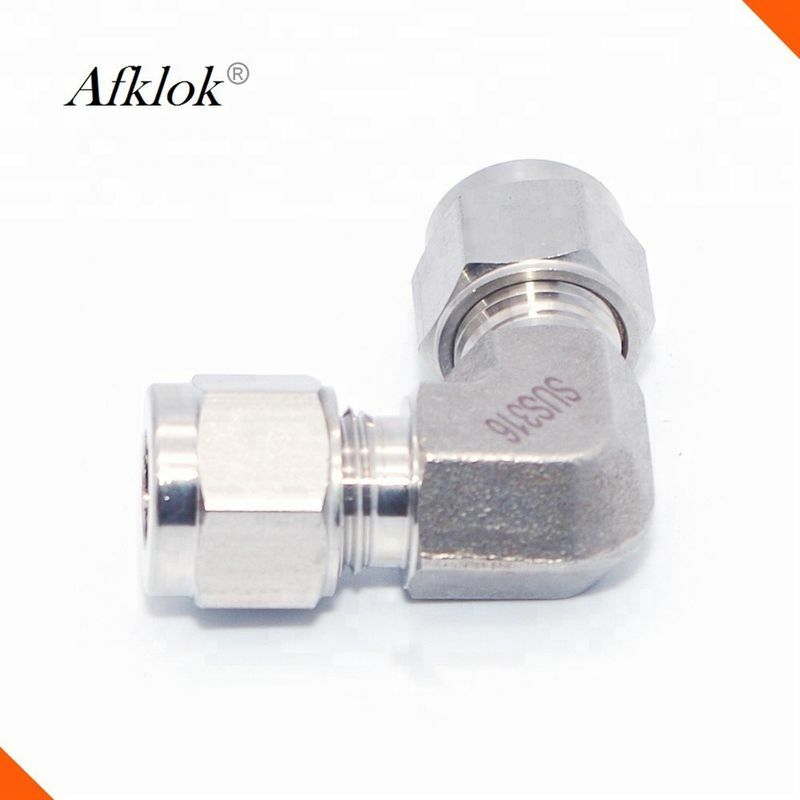 C. 90 degree elbow, one end is 3/8" NPT male thread, the other is 6mm double ferrule(directly connected to tube), hydrogen gas, 1500psi, SS316, 100pcs.